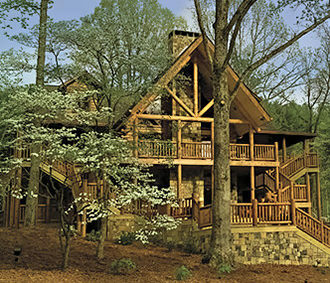 Today, Satterwhite Log Homes is one of the nation's leading log home companies. Tens of thousands of families have built with Satterwhite. You can find Satterwhite homes in virtually every state, and all around the world. Quality products require the highest quality raw materials. 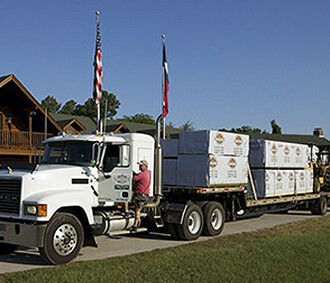 Unlike most log home companies who use locally convenient materials, Satterwhite has searched the entire North American continent seeking wood with exact characteristics. The log home industry is notorious for endless debates about wood species. But one factor is a constant, regardless of tree type, and that is moisture content. The simple fact is that living trees have high water content, and that the dimensions of wood change dramatically as it dries after being cut. By starting with trees that have been killed by natural causes, then allowed to dry over time in arid conditions of the American West, Satterwhite sidesteps all the issues and costs of working with green cut living trees. And, it turns out, the natural solution is the best solution for thorough dryness and long term stability. 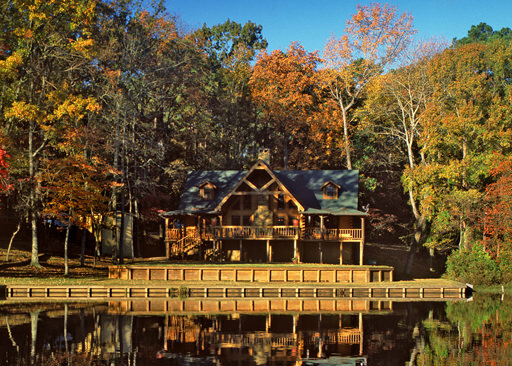 Besides superior performance, many people prefer building their log home without cutting living trees. You build it. 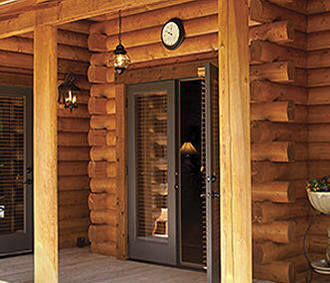 House logs are the essential ingredient of any log home. 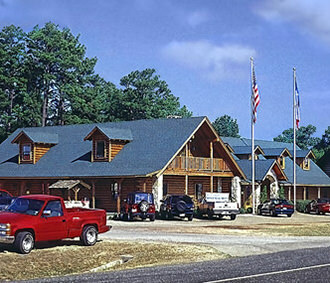 Satterwhite sells in single units, essentially a "log home lumber yard." You build it. We supply a package of materials necessary to dry-in your home. 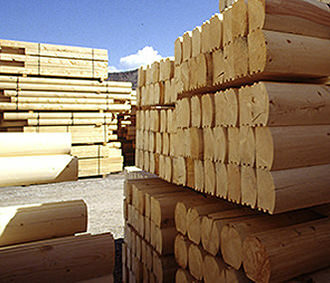 House logs, framing lumber, plywood, doors, windows, etc. We provide materials and labor. 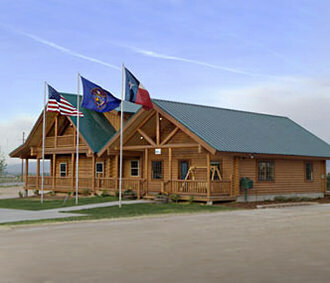 Our experienced team will dry-in your log home.